Port Coquitlam is a city in British Columbia, Canada. Located 27 km (17 mi) east of Vancouver, it is on the north bank of the confluence of the Fraser River and the Pitt River. Coquitlam borders it on the north, the Coquitlam River borders it on the west, and the city of Pitt Meadows lies across the Pitt River. Port Coquitlam is almost entirely bisected by Lougheed Highway. Port Coquitlam is often referred to as “PoCo.” It is Canada’s 88th-largest city by population. Port Coquitlam is not to be confused with the adjacent and larger Coquitlam. The area was long inhabited by indigenous peoples, most recently by the historic Coast Salish people, including the Kwikwetl’em. The first European settlers began farming beside the Pitt River in 1859. 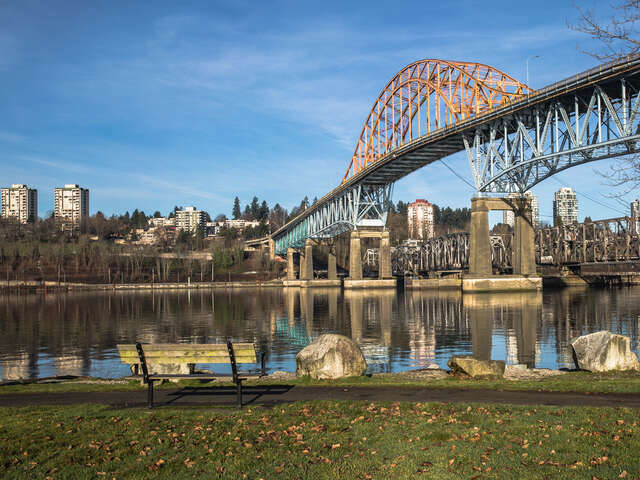 A major impetus to the creation of a municipality was when the Canadian Pacific Railway moved its freight terminus from Vancouver to “Westminster Junction”, building a spur line to the Fraser River port of New Westminster in 1911. Port Coquitlam was first incorporated as a municipality on March 7, 1913.